What will you do if your kid wanted to have a tattoo so bad that she didn’t even asked for your permission before she had one done? 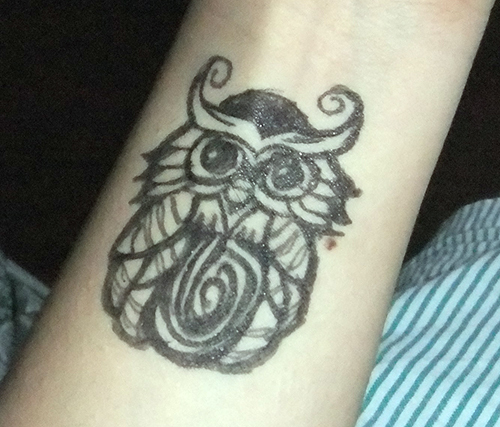 Thank goodness this owl tattoo is just made from an erasable ink and N did it by herself. This entry was posted in Artwork and tagged self-tattoo, tattoo on October 24, 2014 by Yami.